Dishonored has been flying a bit under the radar when compared to other games coming out this holiday season. Published by Bethesda Softworks and developed by Arkane Studios, Dishonored is a first-person stealth experience with some RPG elements sprinkled in for good measure. Though designed to reward those who use stealth with an easier experience, Dishonored leaves the choice up to the player, and lets them live with the consequences. The story- at least what’s been revealed- is as straightforward as can be. We’ll be filling the shoes of Corvo Attano, the legendary bodyguard of the Empress, whom he’s just been framed for murdering. 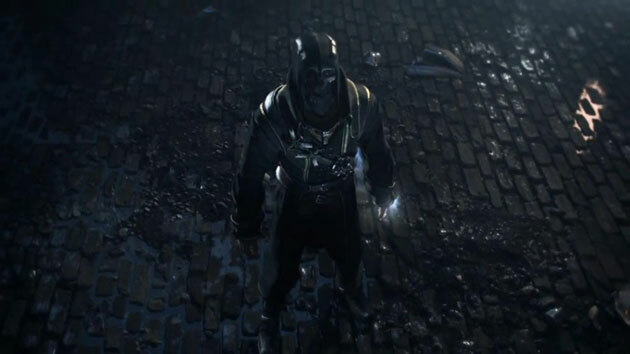 He escapes to find a mysterious being called the Outsider, who decides to help Corvo exact revenge on those who conspired against him by granting him the ability to use magic. The lack of details leaves room for the unknown, so expect the plot to thicken as you chip away at the names on your hit list. Corvo has the motivation and the determination to get even, but that’s not going to help him if he just kicks down the door and takes on a hundered guards head-on. He has the title of legend and a wealth of experience under his belt, which makes him a deadly opponent, but he still needs to take a more stealthy approach to his objective. Luckily, Dishonored takes place in the fictional city of Dunwall; a dark, damp, rat infested city full of sickness and corruption. In Dunwall, the poor suffer in filth and plague as the rich live above them in their heavily guarded mansions indulging their desires. Each mission starts Corvo out in the general area of his target’s position in the city; leaving the player to decide how to get there. This is where the true beauty of Dishonored comes into play; you can do things however you want to. You can take to the rooftops, or utilize the darkness of the alleys to get to the objective, there’s a wealth of options at your disposal. The same goes for when you get to the objective. Say the target’s on the top floor of his mansion, and there are guards patrolling everywhere. There are several ways you can get into that mansion unnoticed. You can pick the lock on the cellar door, find an unlocked window, or even break in upstairs if you’re an impatient soul. The game was designed for stealth, but you can still go Rambo and kill everyone. That’s why the developer added a “Chaos” system. The more collateral that you rack up during the course of the game, the higher the chaos becomes. Rats will be everywhere, targets will bolster their security with more muscle, and things will just get sketchy. While sticking to the shadows and silently picking guards off with his dagger are all he really needs, Corvo has been blessed with magical abilities by the Outsider. These powers bring to mind the Tonics from Bioshock, though all you need is mana to use them. There will be six active powers, four enhancements (passive abilties), and forty “bone charms” which grant you a perk when worn, though only three can be equipped at a time. Announced powers include: Dark Vision, which allows you to see enemies through walls and also the amount of noise you’re making; Blink, which is used to teleport a short distance; Possession, which allows you to temporarily possess other humans or animals; Devouring Swarm summons a horde of rats which attack opponents; Time Bend freezes time; Wind Blast enemies flying with a gust of wind; and finally Shadow Kill, which turns dead enemies into ash so they won’t be discovered by other guards. You’ll need to be smart in how you handle your mana bar though, because powers can use it up quickly, and you’ll only have so many potions on you to replenish it. That’s why fighting your way through a level is a bit of a gamble, because you’ll need to use a lot more of your supplies to survive. When your powers aren’t an option you have an assortment of weapons to help you out of a tight spot. 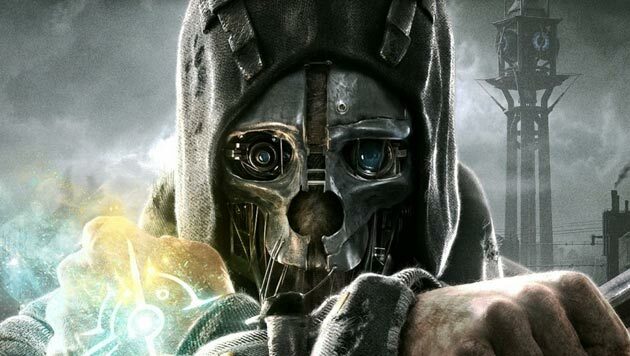 Dishonored comes out October 9th, and I am personally eager to get my hands on it. While other games will be bringing back something we’ve all experienced, Dishonored will be delivering a fresh experience that we’ll all be talking about months after its release. It’s hard to put into words how excited I am for this one. I’ve been following it for several months now, and I can’t believe it’s almost here! Notify me of follow-up comments via e-mail. You can also subscribe without commenting. Register as a Member and create your own Groups and Forums which you can administer yourself. Visit our growing Arcade Games Section for the latest Flash Games, and let the fun begin! Website by inMotion Graphics | Copyright © 2019 inMotion Gaming.